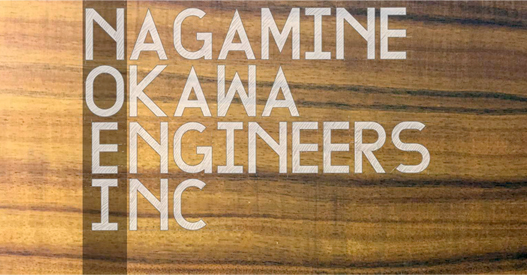 Careers | Nagamine Okawa Engineers Inc. Looking for an opportunity to join a great structural engineering team? Nagamine Okawa Engineers is an award-winning team of structural engineers, drafters and inspectors working together to inspect, design, improve and repair diverse structures. Our firm works on projects ranging from the necessary - such as water facilities that supply clean drinking water - to the elegant - such as resort hotels, where people come to stay from all over the world. Watch projects come to life! Participate in the exciting transformation of calculations to construction documents to actual structures. Gain Experience! We can help you obtain valuable experiences and skills in analyzing and designing many different types of structures to broaden your repertoire. Working at NOEI, you will get hands‐on experience both in the office and in the field. If you are Akamai, hard-working, and interested in being a part of our ohana, we would love to hear from you! Thank you for your interest in employment at Nagamine Okawa Engineers. We are currently hiring for the positions listed below. Are you akamai, hard-working and want to be part of a great team? Nagamine Okawa Engineers, one of the top structural engineering firms in Hawaii, is seeking qualified applicants with a vision for the future. 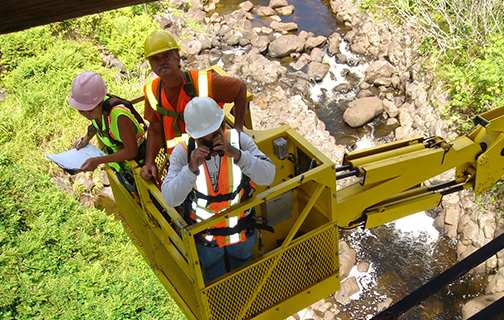 Projects involve public agencies and private organizations located throughout Hawaii and the Pacific Rim. Watch projects come to life! Participate in the exciting transformation of calculations to construction documents to actual structures. Our firm works on projects ranging from the necessary - such as water facilities that supply clean drinking water - to the elegant - such as resort hotels, where people come to stay from all over the world. We can help you obtain valuable experiences and skills in analyzing and designing many different types of structures to broaden your repertoire. Working at NOEI, you will get hands‐on experience both in the office and in the field. For more information on our company, please feel free to browse our site. Please send your resume, references, and college transcripts to georgeg@nagamineokawa.com. Come join the Nagamine Okawa Ohana! Voted "One of Hawaii's Best Workplaces" by Pacific Business News, 2015. Voted "One of Hawaii's Best Workplaces"
by Pacific Business News, 2015. COME JOIN THE NOEI OHANA!